Fabiola is a bright, lovely, young high school sophomore. This sweet young lady has the ability to light up a room with her infectious smile. When you experience her joy and humble demeanor, along with her story, you start to realize she is one brave individual. Sixteen years ago, just before Fabiola was born, it was discovered that this baby would face life with a condition called spina bifida myelomeningocele. Spina bifida myelomeningocele is a more severe form of the most common disabling birth defect (spina bifida) in the US. With myelomeningocele, the spinal cord is exposed through an opening on the back. Doctors were required to induce labor three weeks before Fabiola was due to be born, in order to surgically address the exposed portion of her spine. Once she was in surgery doctors discovered she was also suffering from hydrocephalus (excessive fluid in the brain). A shunt was surgically placed in the left side of her skull, in an attempt to drain the fluid. However, the surgery was unsuccessful, so a second shunt was placed on her right side. That surgery was a success and has enabled Fabiola to grow and develop without mental impairment. Fabiola also had severe curvature in her spine. When Fabiola was in 5th grade, she had the first of two back surgeries in which surgeons implanted rods in order to help straighten her spine. The second back surgery occurred when Fabiola was in 6th grade. During this surgery, Fabiola got an infection, which resulted in her having to stay in the hospital for four months. Fabiola has many procedures and surgeries in her future. She will always require the use of a wheelchair, and the specific needs of this will be ever changing. Fabiola is determined to not allow this condition to detour her from her goals. She is very intelligent, driven, and socially loved by her peers. This sweet-caring young lady has her dreams set to one day be a nurse. Just one look into her eyes and you can see the sparkle and gusto she has for life. 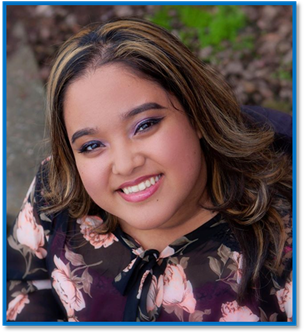 Fabiola is very involved in her school leadership, she loves her friends and family, and likes dancing and listening to music. She will be adopted as a Sparrow to Phoenix High School. Students at PHS will work hard to raise money for Fabiola through sponsored community service and fundraising projects.